The 29-year-old Italian international striker has only made three appearances for the Hornets this season - and all have come from the substitutes' bench. 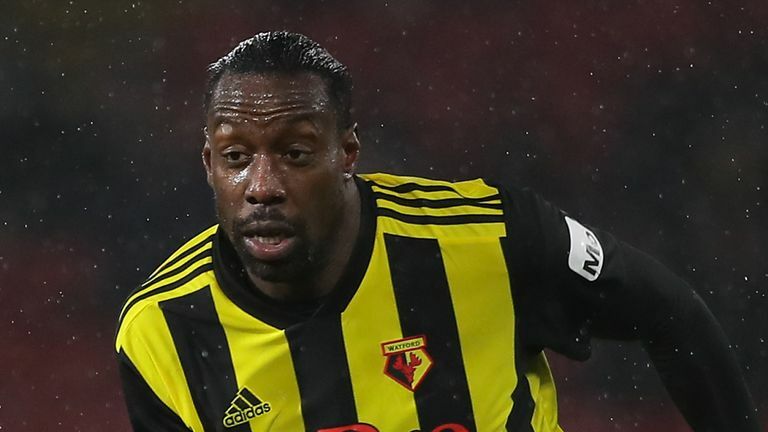 Watford boss Javi Gracia spoke about the potential move last week and praised Okaka for his professional attitude, despite his lack of first-team minutes. Stefano will be on loan. And I would like to say in this moment, in all the time he has been with us, he has had an excellent attitude with excellent commitment. A top class man and I wish him the best because he deserves it. Okaka has been capped four times by Italy and has already played for several teams in the land of his birth, including Roma and Sampdoria. Okaka is a strong point physically, good at defending the ball and getting the team up. Stefano is strong in the air and inside the penalty area. Udinese are 15th in the Serie A standings, five points clear of the drop zone. work you write. The arena hopes for even more passionate writers like you who are not afraid to mention how they believe. just don't know about. You managed to hit the nail upon the top and defined out the whole thing without having side effect , people can take a signal. in this regard, thank you for sharing. obtained here, really like what you're saying and the way during which you say it. Utterly pent subject material, thanks for selective information. suggest you few interesting things or suggestions. Perhaps you could write next articles referring to this article. I've joined your rss feed and look forward to searching for extra of your excellent post. Hi it's me, I am also visiting this site regularly, this web site is actually pleasant and the viewers are genuinely sharing good thoughts. I have read this put up and if I could I want to counsel you some attention-grabbing things or tips. spin on a topic which has been written about for many years. I'll bookmark your site and take the feeds additionally...I am glad to seek out numerous useful information right here within the put up, we need develop extra strategies in this regard, thanks for sharing. Thank you for being the teacher on this area. We enjoyed your article greatly and most of all appreciated how you really handled the areas I widely known as controversial. like me and help me in my everyday living. Thank you. for a related subject, your web site came up, it seems to be good. and I conceive this website is rattling instructive! Continue posting. of this your broadcast offered brilliant clear concept. exactly what I'm looking for. Does one offer guest writers to write content to suit your needs? up here "Watford's Stefano Okaka Moves To Udinese On Loan". remarks look as if they are coming from brain dead folks?